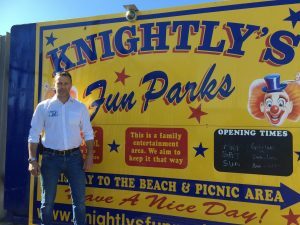 Semnox Solutions Private Limited has added another feather to its cap with Knightly’s Fun Park of Towyn, North Wales, U.K., opting for its Parafait cashless system recently. A favored holiday location for families, Knightly’s Fun Park has more than 20 rides spread over different categories aimed at all age groups. “I had been planning to introduce cashless solutions in my park and had been looking for the best solution provider to meet my business needs. Semnox was recommended to me by many fellow amusement operators in the industry. 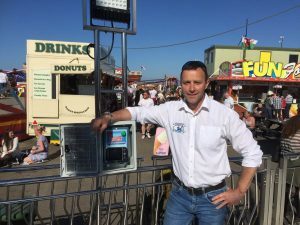 I am very happy about the way my requirements have been understood and implemented at my park by Semnox Systems,” said Luke Knightly, owner and director, Knightly’s Fun Park. Situated by the beachside, this outdoor park dates back to the 1960s and is a family-run enterprise that has grown leaps and bounds from its humble beginnings. “Ever since Semnox Cashless Solution has been implemented, it feels like my life has switched to more digital than manual. There are no worries about managing the operations through tokens. Everything runs on the Funpass or Funband as it should and all the reports are just a click away. This system has not only enhanced customer experience at our park but also made the life of our staff hassle-free,” added Knightly. Using RFID technology, the Semnox Parafait System promotes ‘contact-less’ technology. This cuts down on wait times for users wishing to go on rides or play games. Readability in tough ambient conditions and the option to customize as tags, wristbands, key chains or cards to name a few, have contributed to its popularity. “It has been a pleasure working with Mr. Luke Knightly and his team. 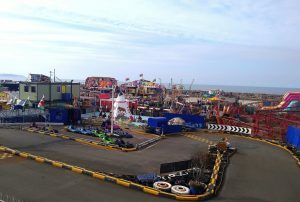 We have had a smooth roll out of Semnox Cashless Solution at Knightly’s Fun Park this year. One of the major challenges that Luke had with the previous system was to avoid pilferage and abuse of daily/weekly bands. I am glad to announce that we have been able to automate the operations of the park by introducing RFID-secure Funcard and Funbands, along with maximizing customer experience and digitizing the entire operation. Being solution providers, we look forward to building a good business relationship with the team at Knightly’s and help them achieve a greater level of success in future,” said Vinayaka Kamath, client manager(UK), Semnox Solutions Private Limited. This implementation comes in the wake of similar deployments by Semnox at Birmingham, AL, USA, and Los Mochis, Sinaloa, Mexico.